SPAIN is one of the best travel sites in the world. In a country located in Western Europe there is a beautiful town called Madrid which is also the capital of Spain. With a population of approximately 3.2 million and an area of ​​606 square km, Madrid is a wonderful place to visit to see how people enjoy life. Spaniards have the motto "work to live 'like no one else in the world who' live to work '. They used to gather in bars, cafes, restaurants and discos with passion, enthusiasm and boundless pleasure. And that is a real attraction for tourists. Guaranteed you will never forget this city. If you are in Madrid, the starting point of the journey must begin from the Puerta del Sol. This location is right in the heart of Madrid. Here you will find many cafes, shops, buildings from the 19th century, and the bar is open late into the night. Before going to other places you'll want to start a breakfast here. Having finished breakfast and take a look at the Puerta del Sol you can visit the Palacio Real which is the official residence of the Spanish royal family. This palace is located in Bailen street, just west of downtown Madrid and can be accessed from the Opera Metro station. The palace is open to the public, except when used for formal occasions. 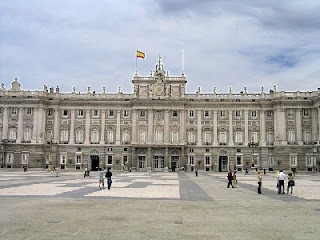 Palacio Real is one of the most important tourist attractions. This is a place of many outstanding art exhibitions. Architectures ranging from medieval to modern, with neo-classical, gothic and baroque style here. After looking at Palacio Real you can visit three of Europe's best museum in Madrid is the Reina Sofia, Thyssen and Prado Bornemizsa. Among the three museums, the Prado museum in the Banco de Espana is one of the most famous museums in the world for storing items that are very valuable from the 12th century until the 19th century. Many art lovers who spend all day here. 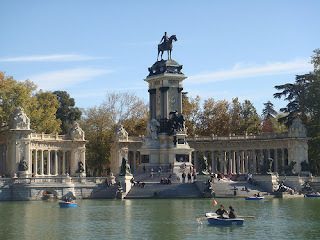 Satisfied to see various historical relics in the Prado museum you can relax in the Retiro Park, not far from the museum. This park was originally a palace garden. The tourists usually visit this place to get away from the noise of the busy city. In the garden there is a lake and fountains that add to its charm. Take a stroll through the green foliage can make your mind calm. Leisure Retiro park may make you reluctant to move but before returning to the lodge, you should visit the old town is Puerto de Toledo Madrid. In this region there is an open market. This market is already very popular in Madrid and became one of the attractions for tourists.